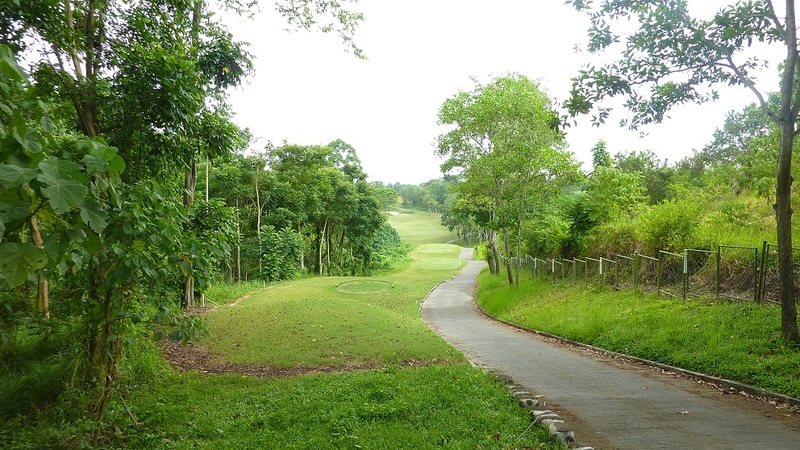 Rancho Palos Verdes Golf & Country Club, located in Barangay Mandug (Buhangin District) about 20km North of Diversion Road (Davao City) brings word class golf and facilities to Mindanao. Designed by world renown architect Andy Dye, Rancho Palos Verdes is 7,039 yard romp through undulating fairways, overlooking the town of Mandug. 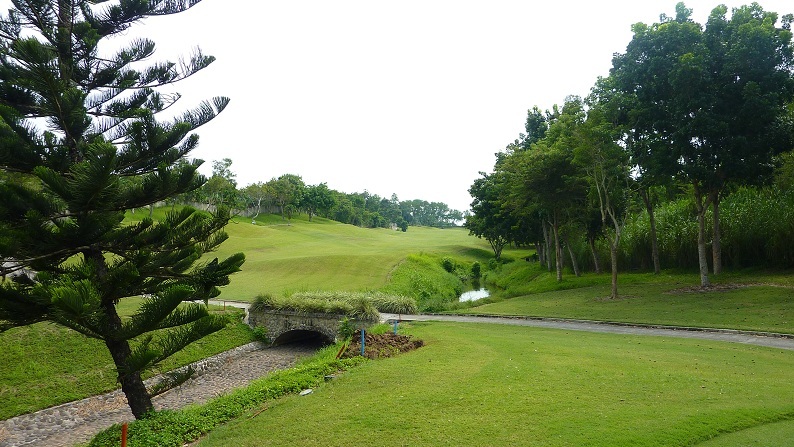 Rancho is one of several courses designed by Andy Dye in the Philippines. 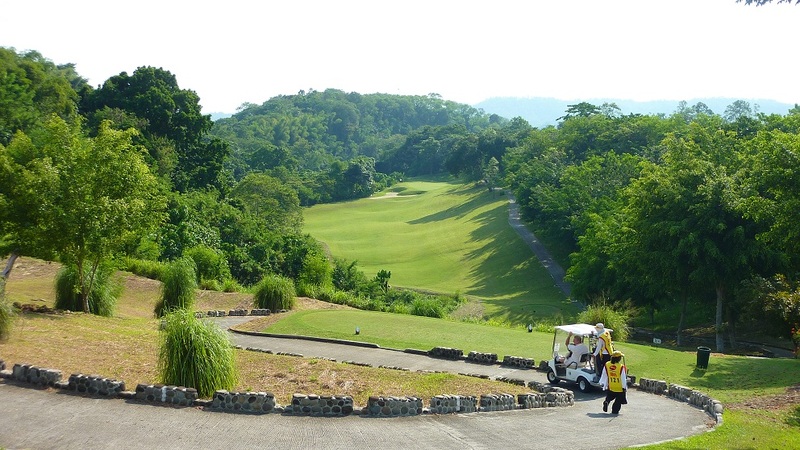 Remainders of a tropical rain forest traverses the first 3 opening holes, coupled with a crocodile lagoon, an early morning view of Mount Talamo and a wildlife sanctuary, finishing with the course’s most difficult hole, the 475 yard par 4, 9th. 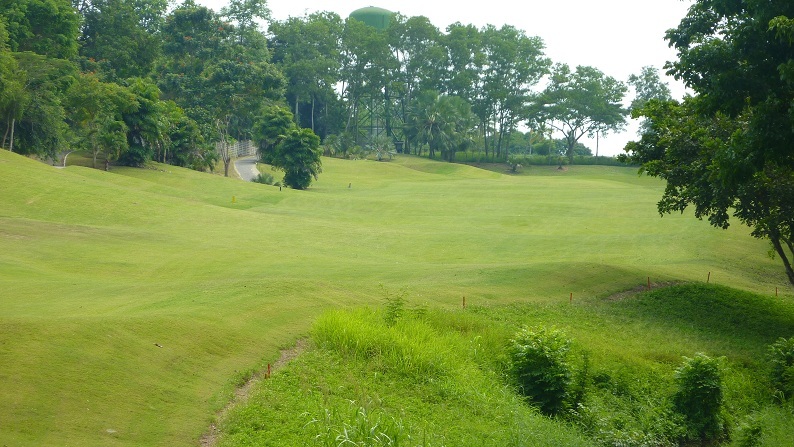 From the 9th green there are views of the town of Mandug and a vast banana plantation, meandering along the banks of the Davao River. 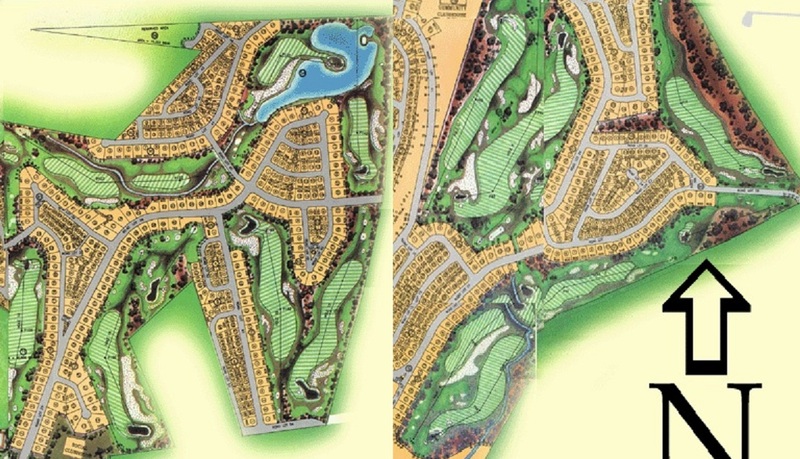 On the back 9, look out for the unique Par 4 13th, with a island green, a Dye design trademark. 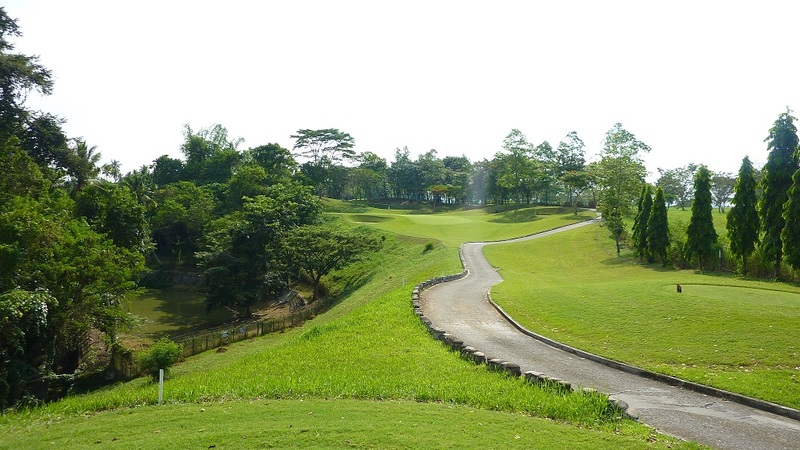 The Par 5, 15th the course’s longest par 5 is only reachable by the longest hitters. 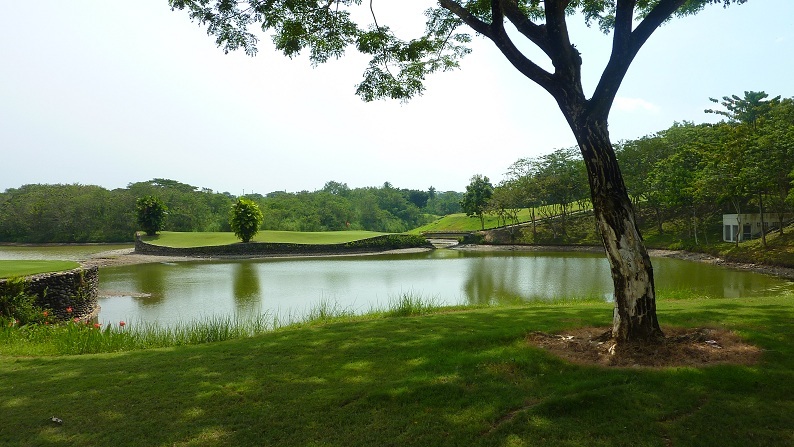 Don’t forget the 18th hole, the 2nd most difficult hole on the course to round out your day. 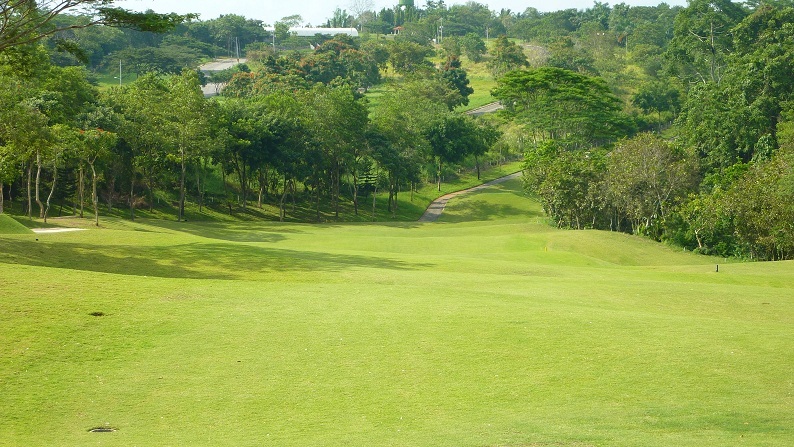 With over 200 feet of elevation changes, water hazards, traditional Dye pot bunkers and, various types of uphill, downhill and sidehill lies on its Bermuda grassed fairways, plus the subtle, imperceptible breaks of its Tildwarf greens makes Ranch Palos Verdes the course to play in Southern Mindanao. There are four sets of tees ranging from 7,039 yards at the tips down to the Ladies tees at 5,089 yards. 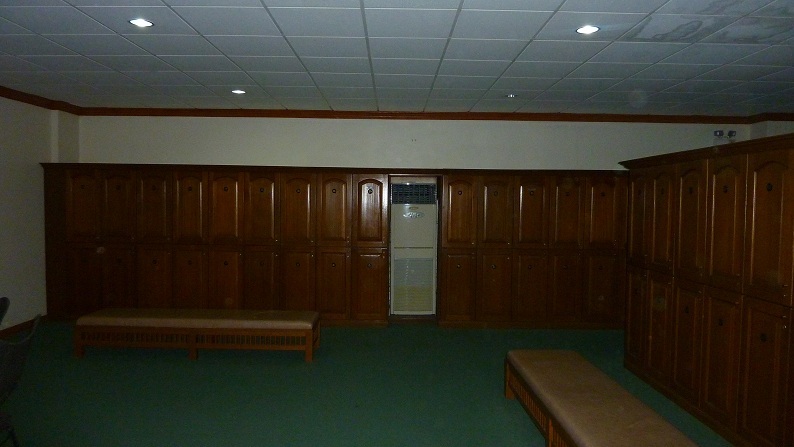 The practice facilities at Rancho are not the greatest in the world but it looks like they are working on the issues. 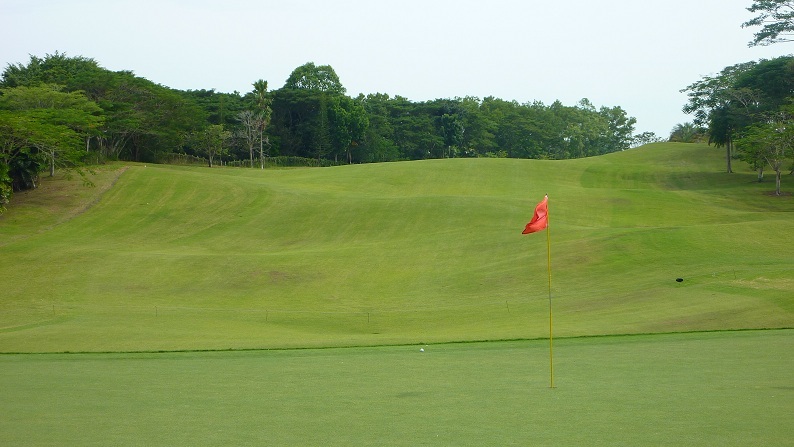 The practice green is representative of the course conditions and is ample big enough to working on your putting with various breaks and uphill and downhills puts. The driving range is something that I was a bit disappointed with. (having said that in the Philippines driving ranges in general are disappointing) The range goes out to about 260 yards at it’s farthest. They are constructing a covered hitting area. The problem really lies with the following: no targets or markers to let you know distances or have something to aim at and there are no “club managed” personnel at the range. 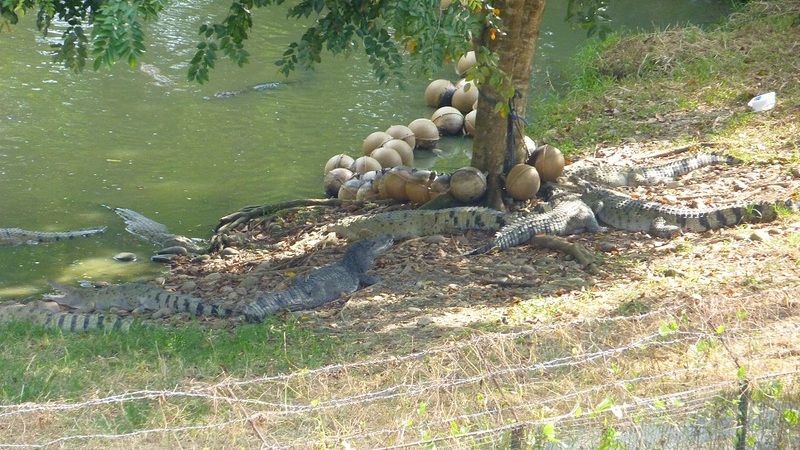 You need to rely on local boys with their own ball cache to practice. 2 times recently they were no where to be found just after lunch. We will be taking this up with management. The caddies at Rancho are very knowledgeable and professional. 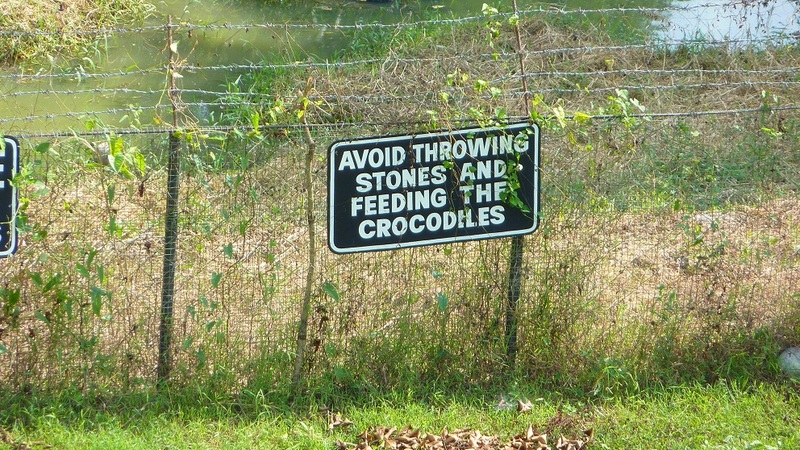 Definitely take advantage of their green reading skills. 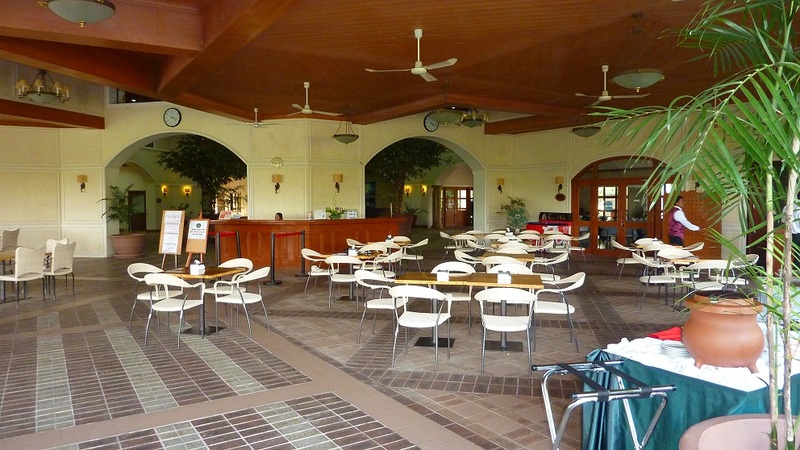 The clubhouse facilities at Rancho Palos Verdes are 2nd to none in Davao. With male and female locker rooms equipped with showers, saunas, jacuzzis and massage rooms, you can complete your day with pampering one would expect from a top notch facility. 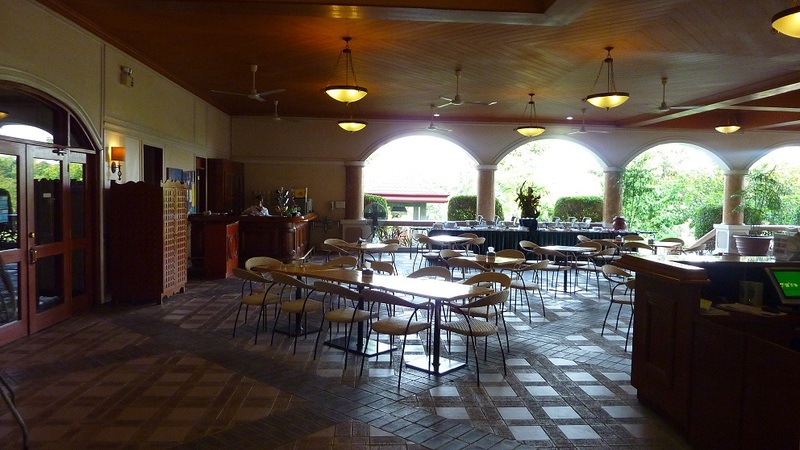 There is a huge open air restaurant / bar overlooking the practice green and the 9th fairway/green. 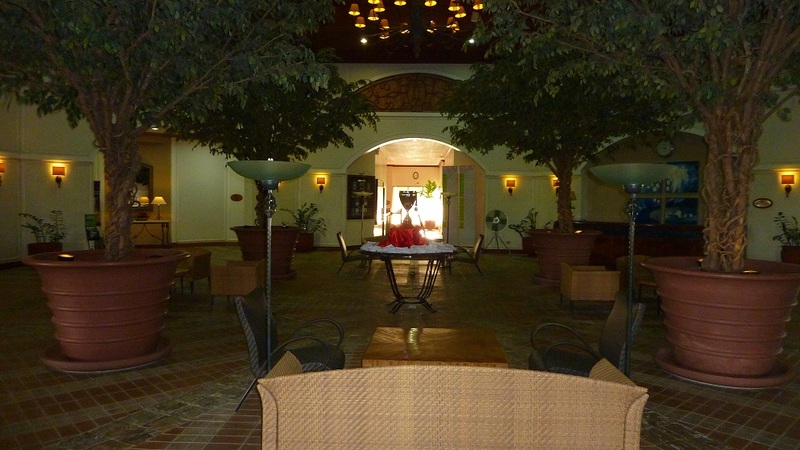 The food in the restaurant is very good and reasonably priced. There is a smallish pro shop that has the essentials that one would need to complete a day of golf. They rent clubs/shoes for those that don’t have or those that are traveling and don’t want to carry their own. Local fees are reasonable when accompanied by a member. Visitor / Tourist fees are on the high side during the weekends, but better during the week. The course is pretty much empty during the week. Busy times are weekends in the morning. 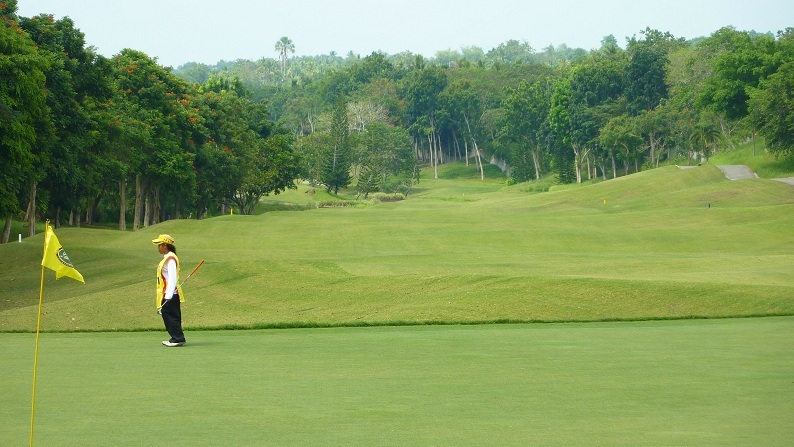 If your a resident of Davao or just visiting and you want to have a great golf outing surrounded by beautiful scenery, with exceptional service than Rancho Palos Verdes is the place when in Southern Mindanao. This course currently has 14 reviews. NOTE: The course is closed on Mondays, unless a holiday falls on a Monday. Please call the Pro Shop for confirmation. Are you in town on April 22-May 20, 2012. 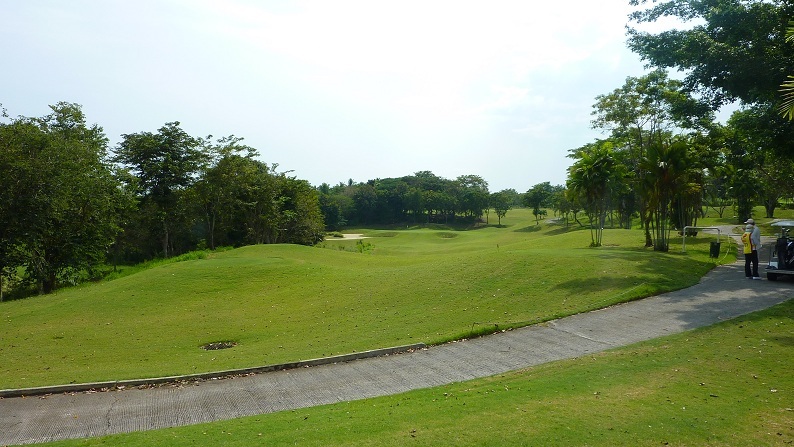 My Fiance and I will be home and he really likes to play golf.. he likes to play golf as many as he can while in Davao and since it is his first time in The Philippines I wanted him to enjoy his stay.. do you know of any member to play with around this time? It’s official defiantly playing gc in Oct – Nov 2011. Taking 2 sets of my old golf clubs. Looking for a member to play with while I’m in town. Glad to hear you will make it out. Make sure and give the pro shop a call and ask them to pair you up with someone of similar skill set. 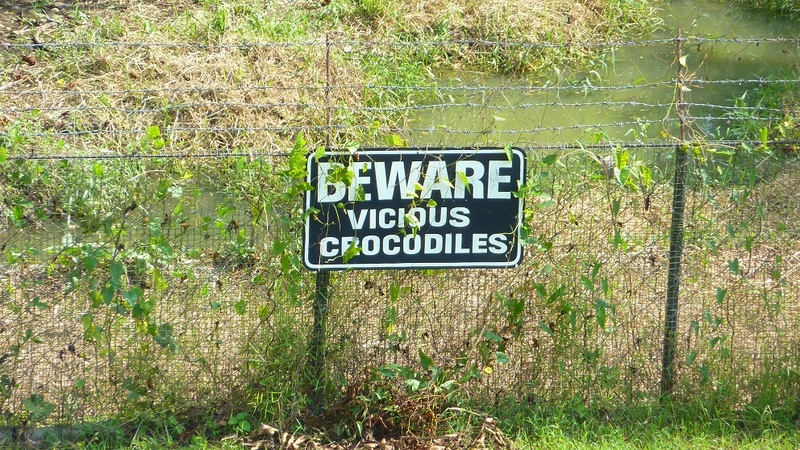 Yes it is a very nice course. There are soo many members at Rancho. I don’t know who exactly you are referring to. You cold possible contact the pro shop at the club and inquire. Are you a member at the club? Do you know of any members I can play with? 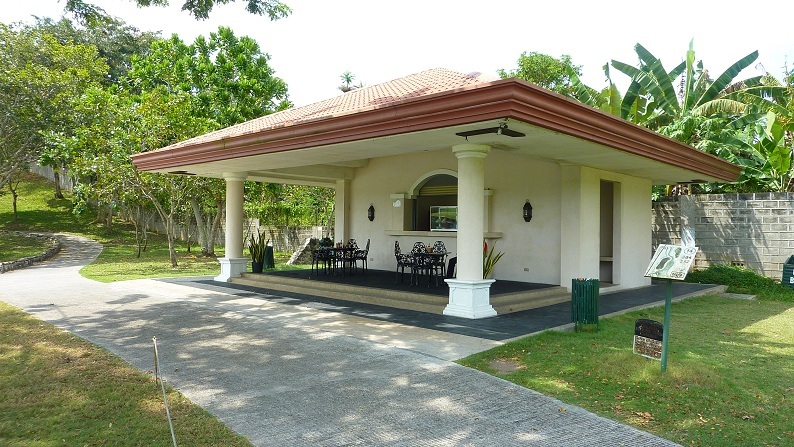 My parents have a house in Babak, Samal and me and my wife plan to vacation in Oct 2011 for 1 month. 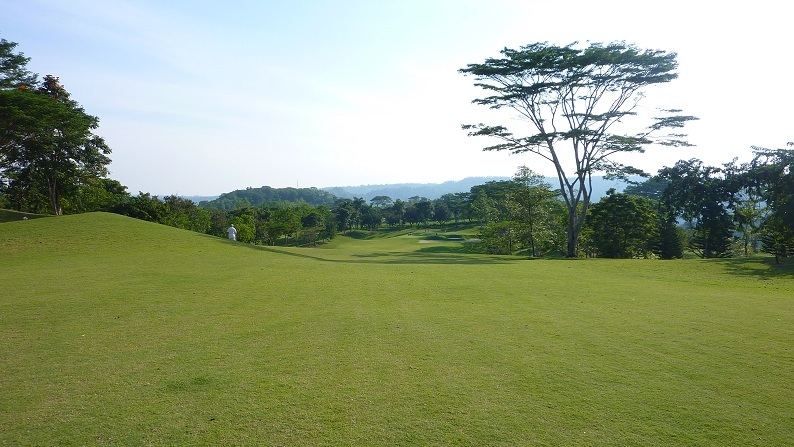 I am planning to play as much golf while on vacation (including Mt Apo) and also planning on buying a lot at Palos Verdes in the near future.